If you go to the admin settings and then to reject reasons. 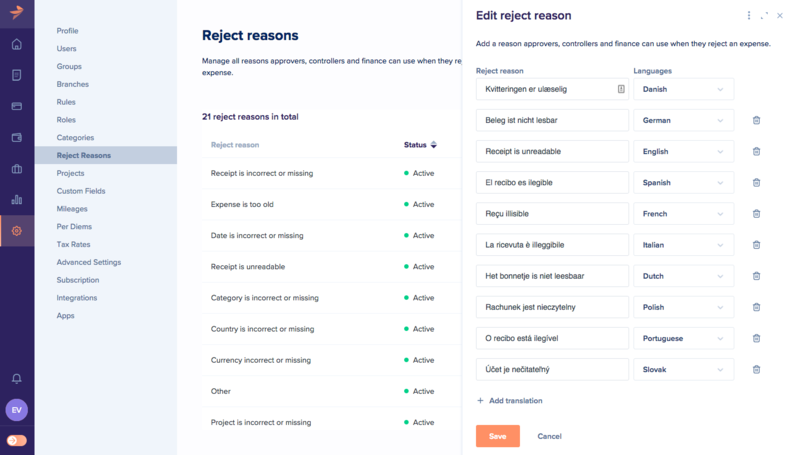 You will see an overview with a list of default reject reasons. You'll notice the list has been prefilled with the 20 most used reasons when rejecting an expense. It is up to you to decide which reject reasons you would like to use. You can easily activate or deactivate them by going into a reject reason. You can also edit them if you prefer a different wording. 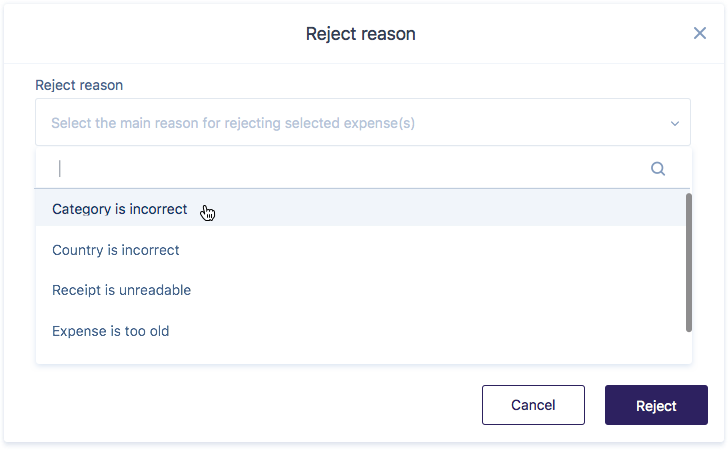 To add a reject reason of your own, hit the Add reject reason button at the top left corner and fill in the reject reason. By adding translations, the user will receive the reject reason in their preferred language. Note that it's only possible to add a translation in one of our supported languages. When an approver, controller or finance role rejects expenses, they will see the following pop-up. 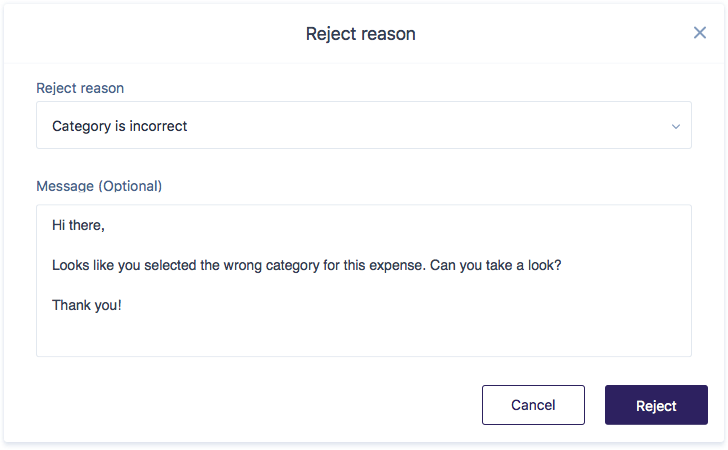 They can then choose one of the reject reasons that the admin provided and have the possibility to add additional information to the user via the message field. Below is how the user will receive the message via mobile.